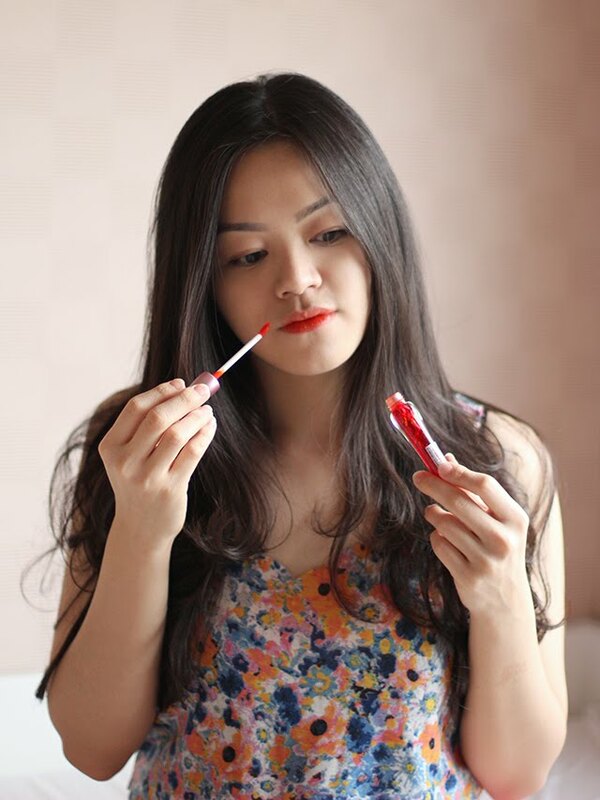 Lip tint is very popular in Korea, we would probably say that Korean beauty line is the one who brought the lip tint trends all over the world. 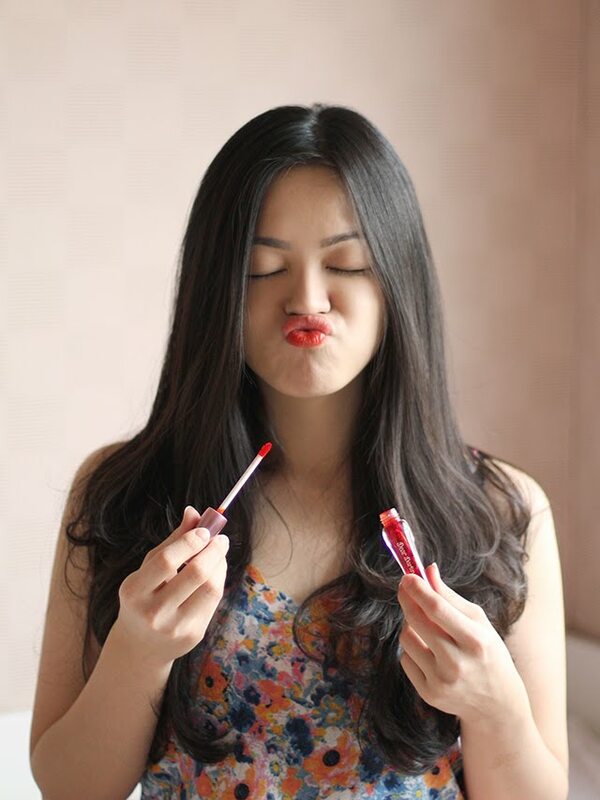 In fact, Korean women are likely used lip tints rather than lipstick. That could be the reason why Korea always looking forward for the brand new and innovative lip tints product. There are few varieties of lip tints on the market, including water lip tint, gel lip tint, creamy lip tint and oil lip tint. 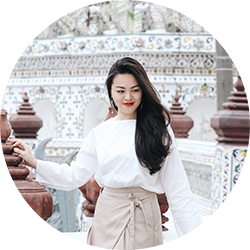 In this post, I will share about my favorite Korean lip tints that I have been using for a while. 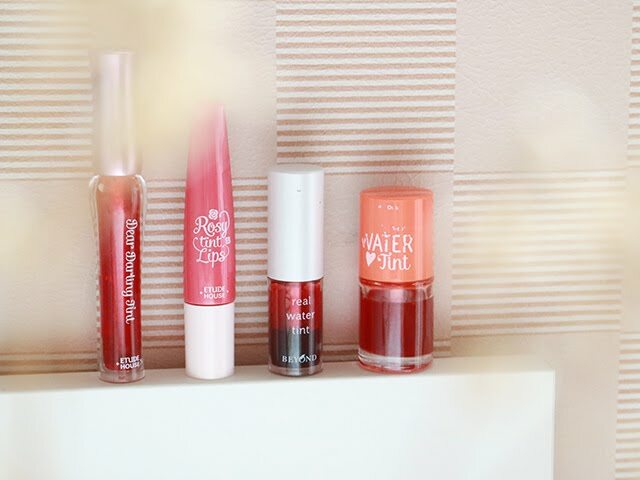 This water liptint from Etude House is currently become my daily lip product. The texture is very light and watery, it also comes in a soft tip applicator makes it naturally blend in my lip. I could also apply more of this for a deeper red-orange lip color. 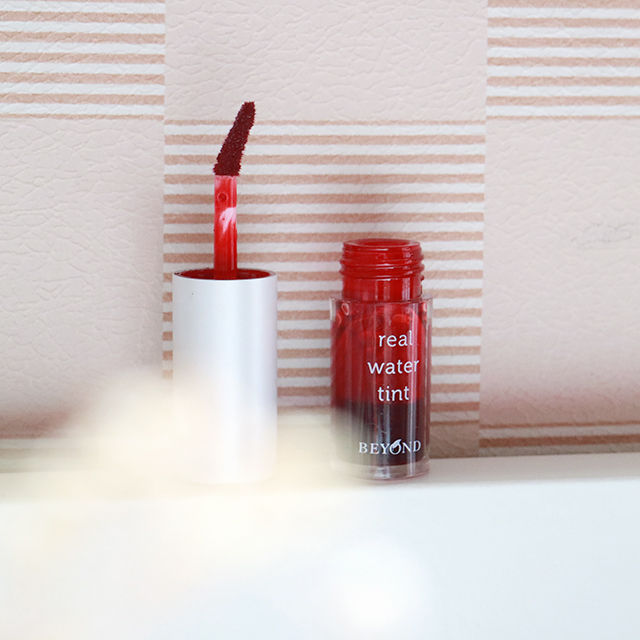 The other lip tint product that I loved is Real Water Tint by Beyond, the color really pops up on my lip and it stays longer than any water lip tint product that I had been used. 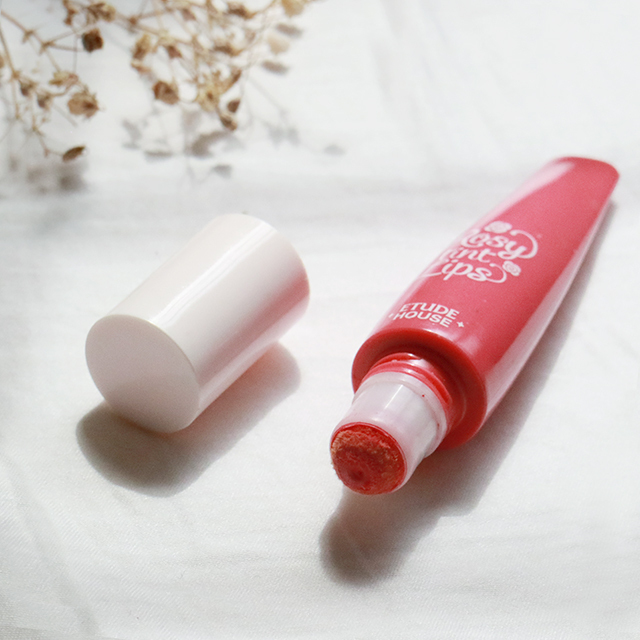 For a long lasting and natural matte lip color, I found this Etude House Rosy Tint Lips is the best from other Korean creamy lip tints out there. This product comes with a sponge tip applicator that makes it easier to blend. And for a glossy shine look, sometimes I apply a clear lip gloss on top of it. 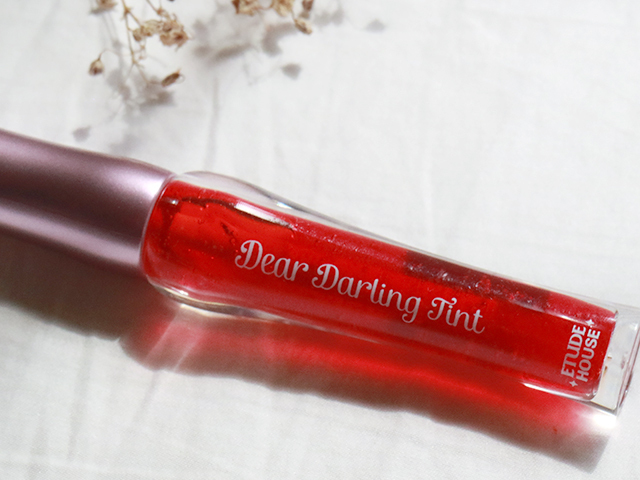 One of the best selling gel lip tint froduct from Etude House is definitely this Dear Darling Etude Tint. I love how pigmented the color and somehow it gives a glossier finish than water or creamy lips tints. 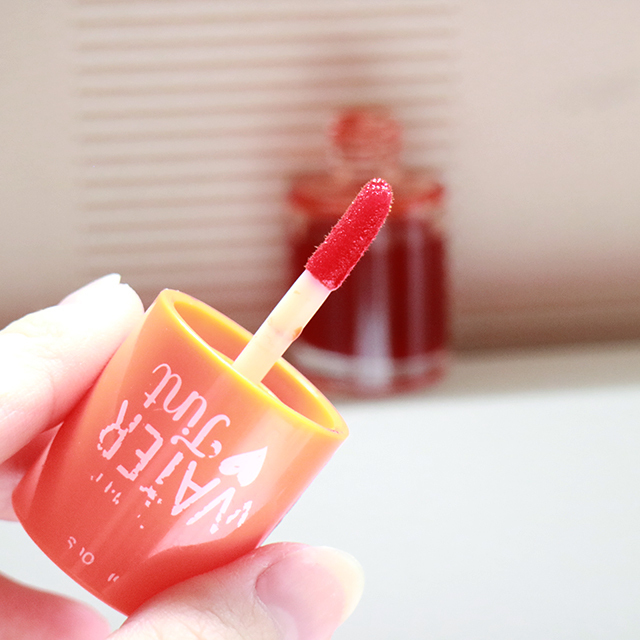 I had been stocking this product repeatedly, and this time I got a red-orange shade of Etude Dear Darling Tint from trusted Online Shop at Instagram @allinecosmetics. 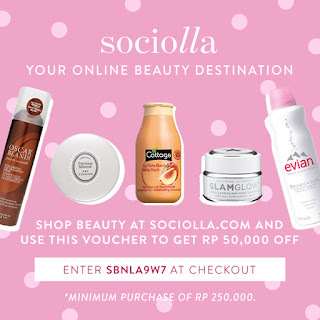 Make sure to check them out for more ranges of authentic cosmetics with a reasonable price. As we all know, this year has almost come to an end. Have you guys achieved one of your resolution of the year? One of my resolution for the year of 2016 is to have a healthy, fit and appealing body. Beside keeping up my training schedule on track, I always interested to try variety of different training. And this time, luckily I got a chance to try EMS training at 20FIT. I believe you must be familiar with 20FIT, its so popular in Indonesia since couple years ago. 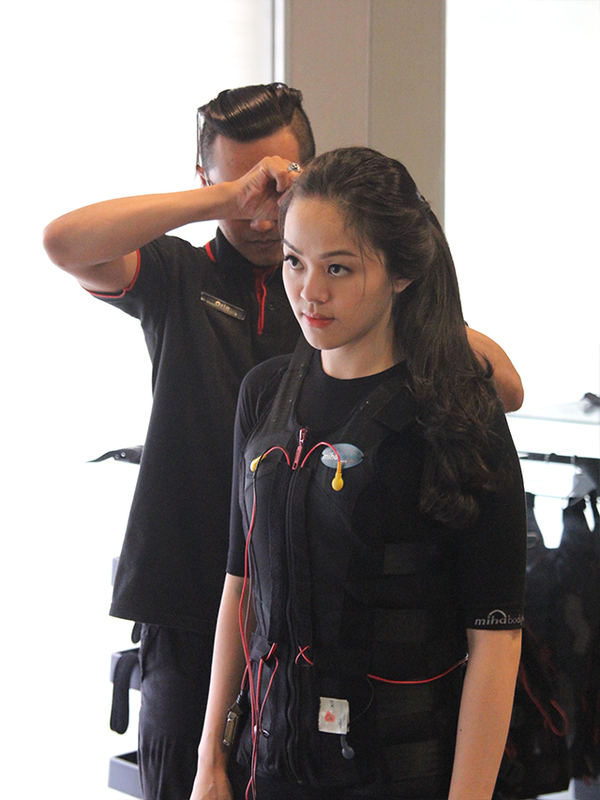 But if you want to know more about how the training in 20FIT feels like, just keep reading cause I will share all of my experience with EMS training that I've tried at 20FIT Central Park, Jakarta. 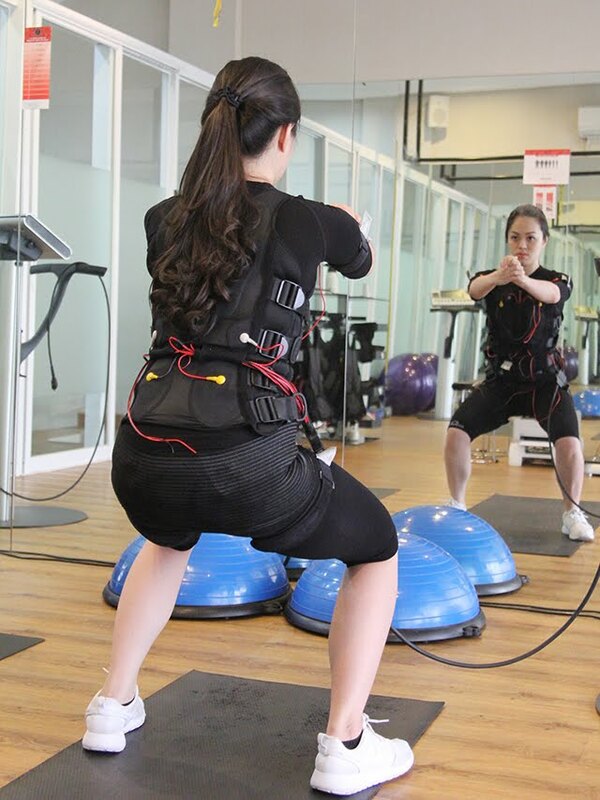 EMS (Electro Muscle Stimulation) training is the latest 21 century training that will help you to get fit and achieve your body goal by replacing the excess body fats with muscle mass, to speed up metabolism and burning more calories throughout the day. So now you know how gaining muscle can help you lean out. 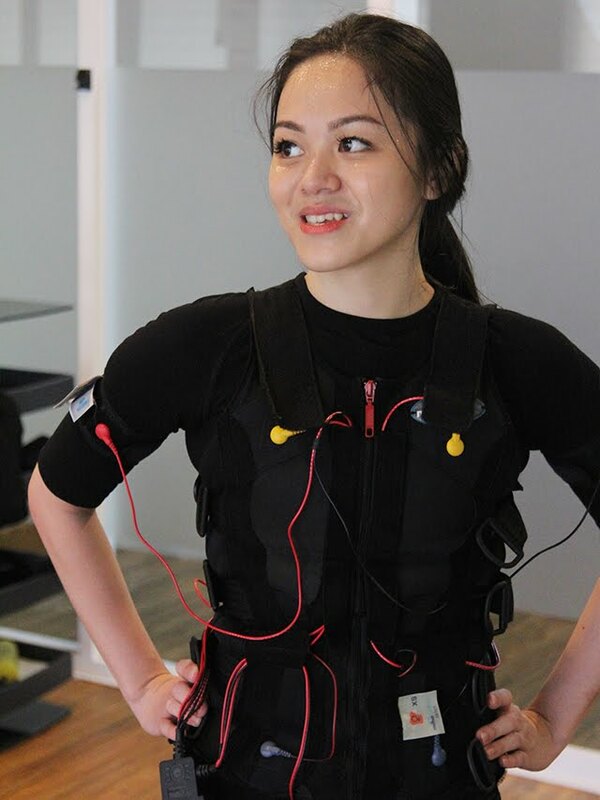 Here we have 20FIT which provides the EMS training use Miha Bodytec technology, it works by stimulating the eight large muscle groups in the body with low impulse frequency, that are transferred through the training vest with electrodes devices patched on certain parts. This impulse transmission has been proven to create stronger, more intense muscle contraction than conventional training at the gym, making EMS much more effective in improving muscle, strength as well as shaping the body. 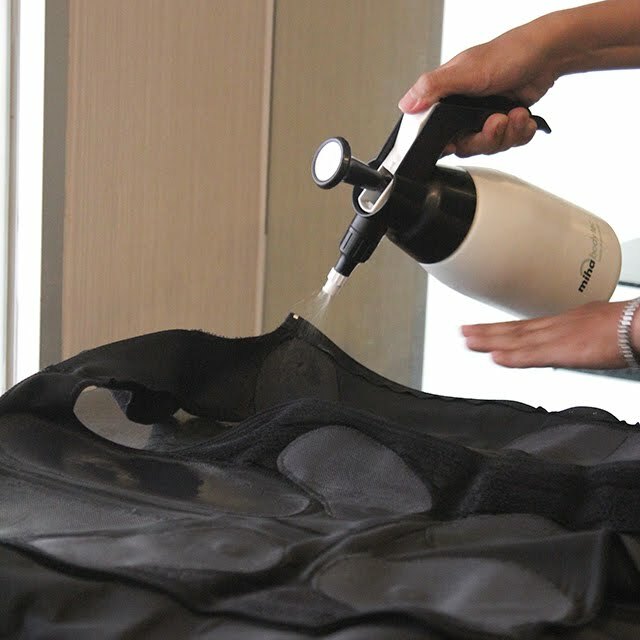 First thing first, my trainer was spraying the clear water all over the back side of training vest to maximize the impulse transmission to the muscles. We started the session with 30 seconds stand still, just to get used to the impulse all over my muscles. Today's session targeted full body training, so we began to train the largest muscle group of our body which is legs, followed by shoulder, arms, chest, back and abs. Every sets were done in ten repetition, with 4 seconds rest time and 4 seconds impulse, with different impulse intensity. Although the session just done in 20 minutes, I felt like been doing the training for several hours. My trainer said that each reps were as hard as 30 reps of conventional training at the gym. As you can see, I was sweating like crazy. 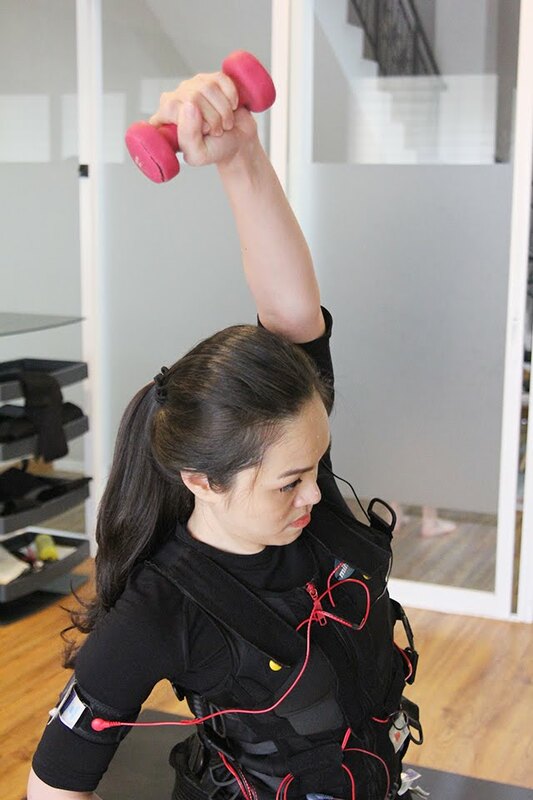 After all, I'm totally agree that EMS training at 20FIT is the fastest way to gain muscles and burn fats. My trainer said after 20 minutes of training, the burning effect will go up to 72 hours. No wonder I got the muscles sore until the third day since my last session. I really recommend you guys to try this EMS training too if you want to gain muscle, strength and shape your body. They also guarantee that you can clearly see the visible result after two times training in a week, combine with clean eating. So, what are you waiting for? Feel free to drop any questions on my comment box below, or directly check out 20FIT website and Instagram @20FIT for more info.